A fun little map, this is The Temple of Notch, the famous creator of Minecraft. Created by Disco, the maker of the oCd Texture Pack (which is also recommended for this map, but not necessary) to hail the great creator Markus ‘Notch’ Persson, this map features a temple in his likeness, and in it you may approach the statue of Notch in order to either be rewarded or punished. The path leading up to the temple, with the well into which you must cast your offering. To access the temple, you need to throw an offering down the well before it, you may then proceed. But beware, if your offer is found wanting, Notch will plunge you into the abyss below, and there you will surely perish. Is the offer satisfactory however, the great and mighty Notch will shower you in treasure, so perhaps the risk of ultimate doom is worth it? 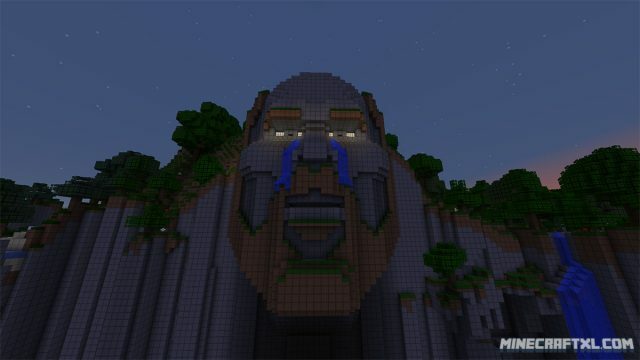 The glorious temple of the great Notch in all of its majesty. It us up to you to decide whether you dare risk it or not (you do, admit it), just make sure your offer is satisfactory. Or try to enter the temple without any offer, see what happens. This little map is actually quite impressive, featuring tons of redstone machinery in order to power the mighty Notch statue, anyone should at least try it once, despite the relative short length of the map. You may even expand upon it, building your own little cult dedicated to Notch around the great temple of him. The great creator did not find your offering acceptable. 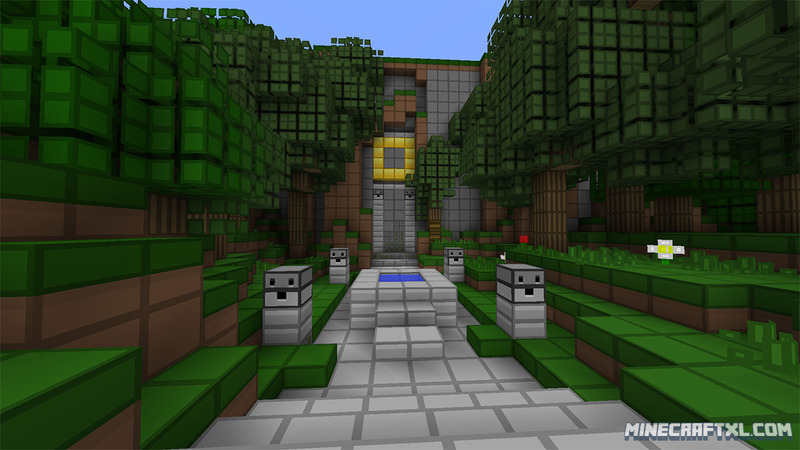 It is highly recommended that you set your difficulty to Peaceful when playing this map though, as Enderman may mess with the redstone and ruin the statue, or at least, make it non-functional. Another view of the temple itself. 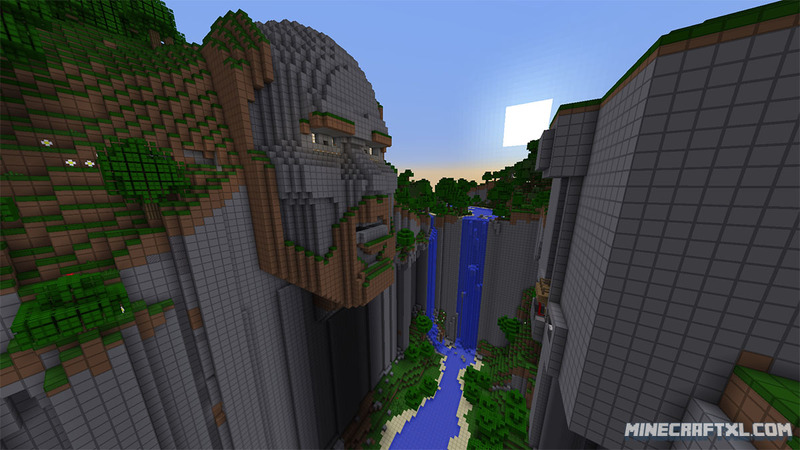 The Temple of Notch is despite being quite old, an impressive piece of work, especially considering its size, and is one of the most popular Minecraft maps available. 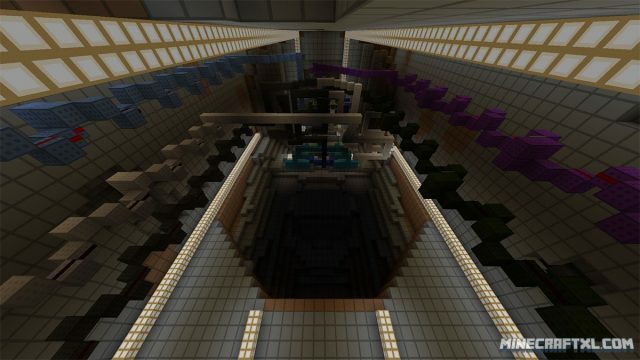 A little behind the scenes look at the impressive redstone contraption powering this temple. 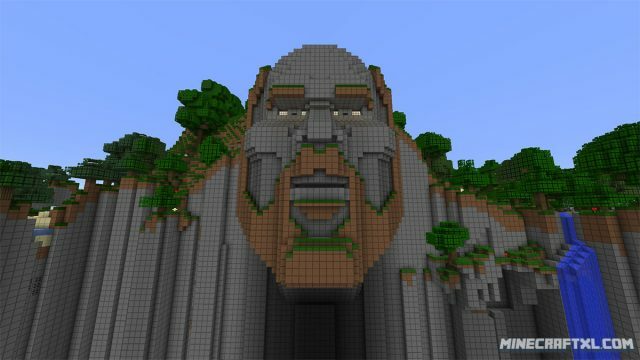 You should now be set to enjoy the glory of the great statue of Notch, but beware! You may either find glory or danger past its gates.